This is a guide to some resources that will help you complete assignments in your PHI 240 class! The full text of Plato's Apology online is available at The Internet Classics Archive, provided by Massachusetts Institute of Technology. This translation of Boethius's The Consolation of Philosophy, by H.R. James, is provided as part of Project Gutenberg. You can read it online or download it. 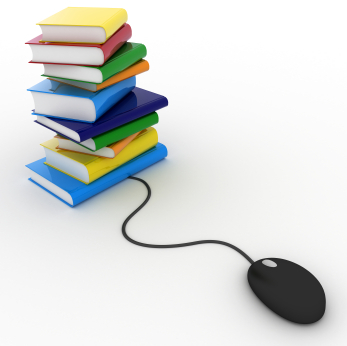 Project Gutenberg includes over 46,000 e-books for free online. Religion and Philosophy Collection provides access to scholarly journals and magazines on topics across a wide range of philosophies and religions. NC LIVE offers access to online resources including magazines, newspapers, journals, ebooks, streaming video, language-learning tools, test-preparation resources and other online materials. A library database is an online resource, to which the library subscribes, that indexes articles from print sources such as magazines and journals. Each separate database includes different articles from a different set of journals, although there may be some overlap of articles included in some databases. In order to do a comprehensive search on a topic, you will most likely need to perform searches in several databases. The library databases are licensed for use by Durham Tech students, faculty, and staff only. For remote access, please use your WebAdvisor username and password. If you have trouble logging in or encounter error messages, please contact the library. Search in hundreds of encyclopedias, dictionaries, subject-specific titles, as well as 200,000+ images and audio files, and nearly 200 videos. Scholarly and popular ebook titles in many subject areas. Browse or search among over 500 online books on ethics!